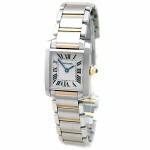 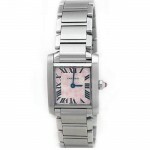 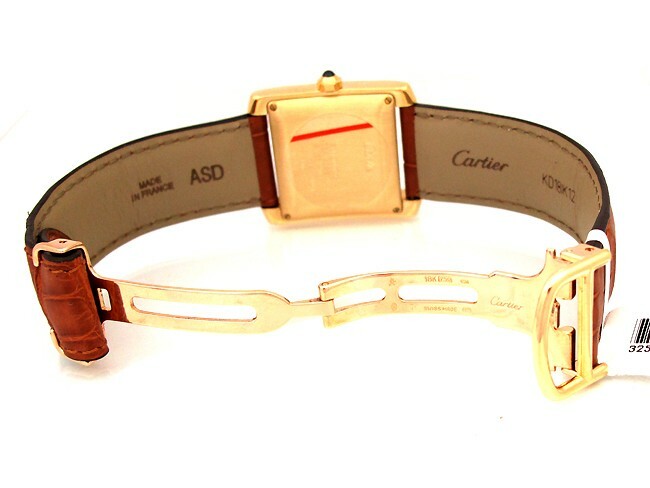 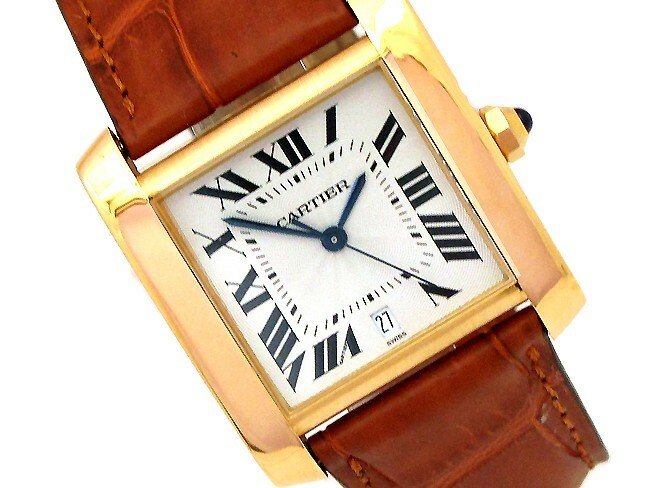 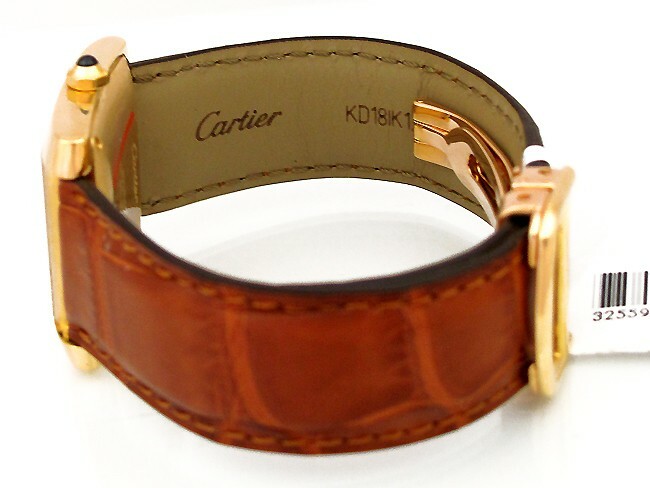 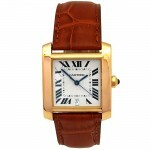 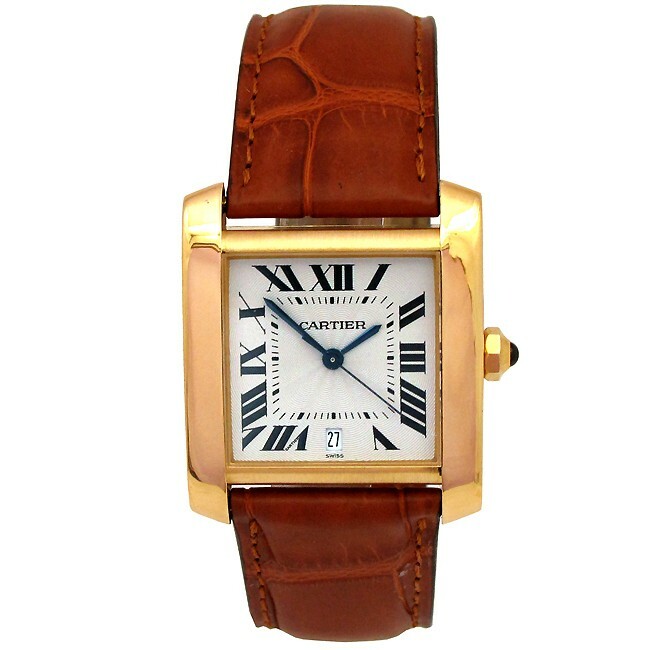 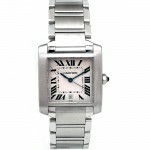 Large Cartier 18K Yellow Gold Tank Francais Watch. 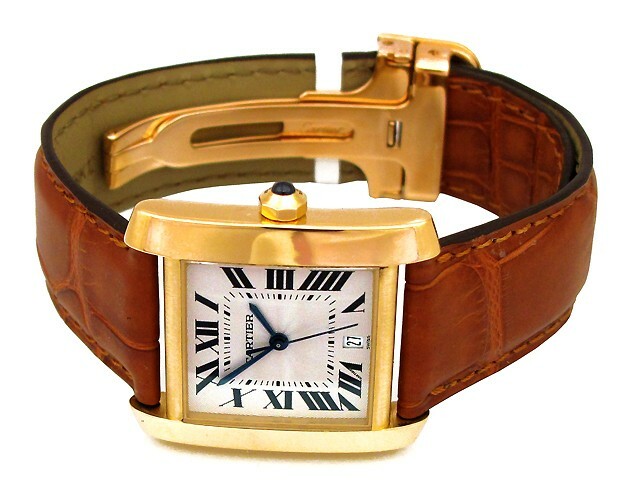 Off-White Roman Numeral Dial. 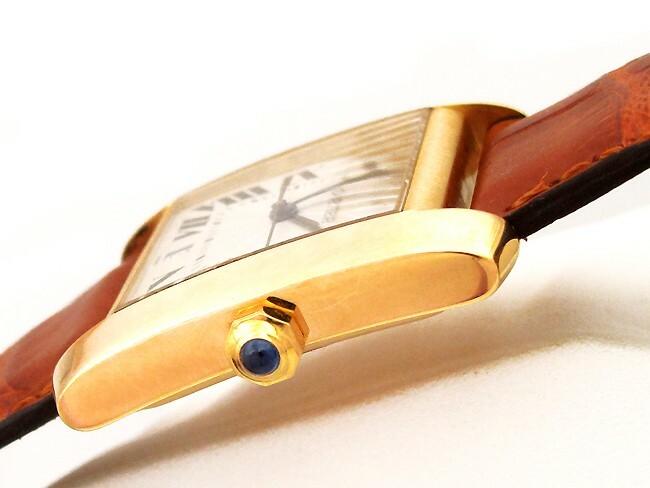 Yellow Gold Bezel. 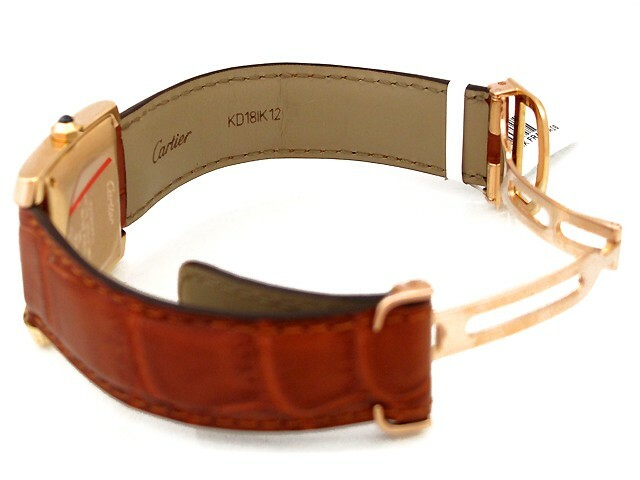 Brown Leather Band.